Size: To 0.125 in. wide in a large, branched, spike-like terminal cluster. Notes: Flower clusters are full of stiff, spine-like scales. 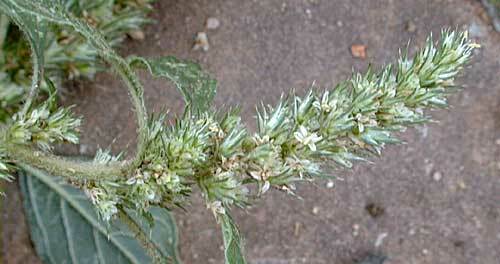 13 species of Amaranthus in Arizona. Entry for redroot pigweed in the University of California Statewide Integrated Pest Management Project. Entry for redroot pigweed in the Canadian Poisonous Plants Information System. Redroot amaranth plant profile on the USDA Plants server.